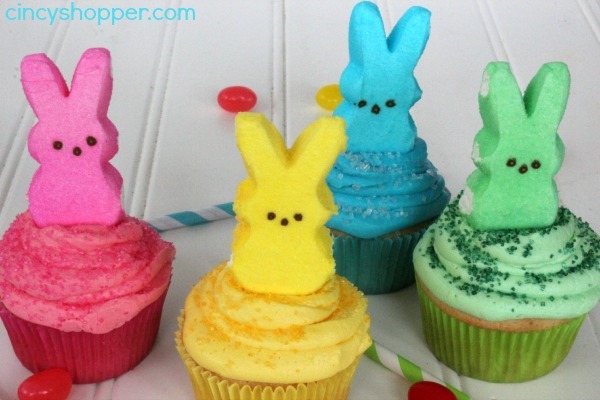 These PEEPS Cupcakes are so colorful and so simple to make. We have been making all kinds of PEEPS recipes lately. I do not think my family can ever get enough of PEEPS ha ha! Have you had enough of me sharing PEEPS Ideas? lol. I have shared Chocolate Covered PEEPS and PEEPS S’Mores with you so far. I have a few more PEEPS Ideas on my list of things to make this next few weeks. I love surprising the kiddos with treats after school so I figure I will make them a few more PEEPS treats. 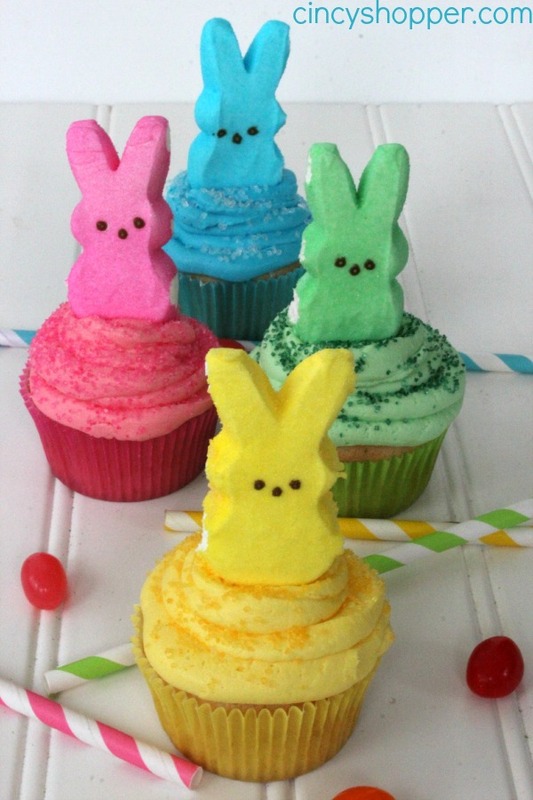 These PEEPS cupcakes are so easy like most of the cupcakes I have shared with you. I have yet to sign up for a cupcake class, ha ha. Maybe someday. 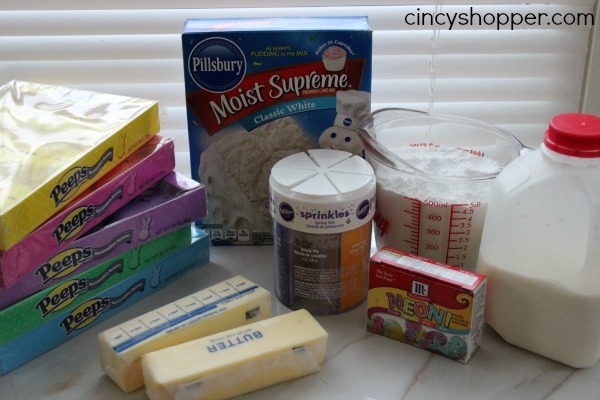 Just grab your boxed cake mix and ingredients, PEEPS and homemade or canister frosting. 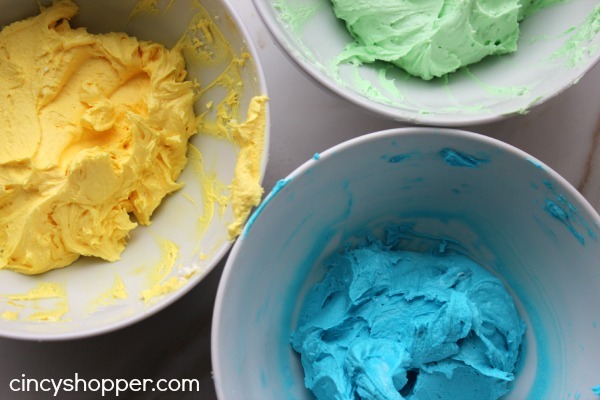 You can also add on coordinating sprinkles too. 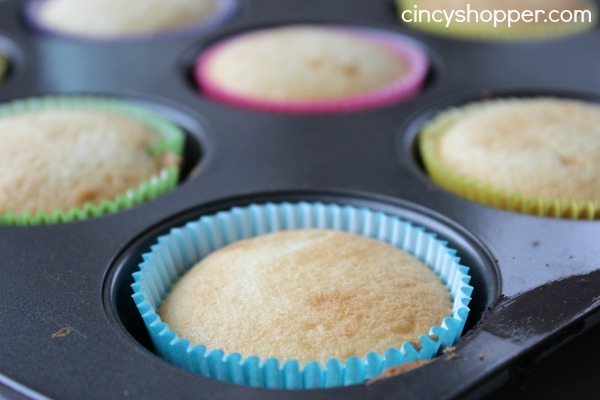 Bake cupcakes according to box directions. 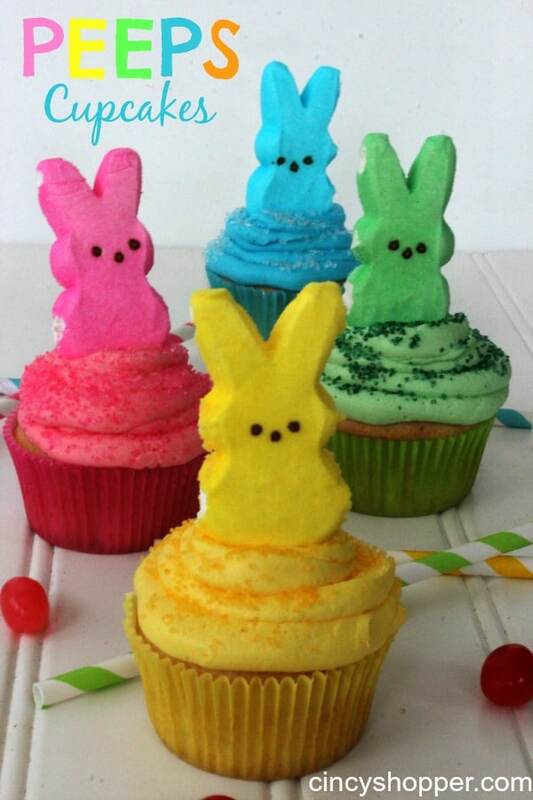 These PEEPS Cupcakes make me feel great especially since today is the first day of spring. So bright and colorful. The kiddos loved them of course. You could make these for Easter dessert, take them in to the office (I promise everyone will love them, who doesn’t love PEEPS?) I even enjoyed one with my evening coffee last night. These would also be great to have for a school classroom Easter party. If you are looking for other great Easter Ideas be sure to check out the Sheep Cupcakes, Homemade Butterfinger Eggs, PEEPS S’Mores, Easter Chick Deviled Eggs, Nutter Butter Chicks, Reese’s Peanut Butter Eggs Coconut Cream Eggs, Coconut Birds Nests Cupcakes, Easter Egg Cake Bites and the Chocolate Covered Peeps that I have shared this past week. I will be sharing some great recipes and DIY Crafts for all of your Easter Holiday needs in the next few weeks. I just love all the new colored Peeps, the colors are great! Hope you are having a great week and thank you so much for sharing with Full Plate Thursday. These are so cute! Pinned to Pinterest! Visiting you from Weekend Wind-down. These are absolutely adorable – Thanks for sharing and linking up again with us at the #WWDParty. Great looking cupcakes. I’m featuring you for Friday Favorites this week.